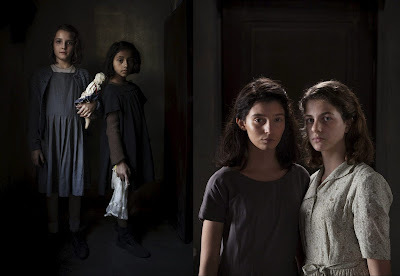 Since I first encountered Ferrante in January 2013 I have been immersed in her world, reading all of her novels at least three times and writing a book, In Search of Elena Ferrante, to help me unlock the secrets of Ferrante’s power, to better understand why these books have had such a hold on my imagination and that of millions of readers worldwide. 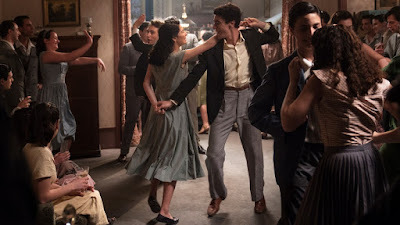 The first episode has not shaken my belief that great novelists, and I include Ferrante in this category, provide access to the interior life of fictional characters in a way film cannot. Film may have replaced the novel as the principal story-telling medium of our age, but great novels like Ferrante’s Neapolitan Quartet remind us of what only literature can do. 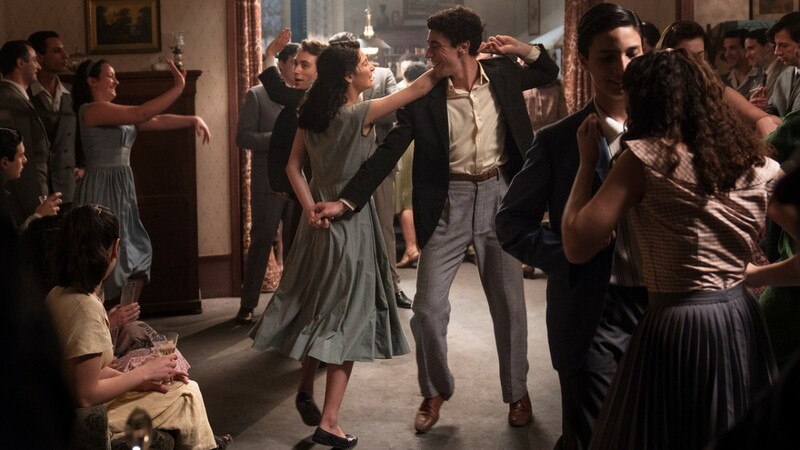 However, it’s arguable that film can do a better job conveying a sense of a social world—in this case 1950s working class Naples where the protagonists of the Neapolitan novels grew up. And violent images have (at least for me) a greater impact in a film. Seeing someone savagely beaten has a greater immediacy and power than a verbal description of violence. But literature provides a deeper context than film can provide. Ferrante interweaves the rise of organized crime in Naples in the aftermath of the devastation of World War II with the lives of her working class characters, describing the grip that Camorrist loan shark Don Achille has on the neighborhood in which Lila and Elena grew up. Without that background knowledge, the viewer cannot fully understand the reasons why Lila despite her superior talents takes care not to totally vanquish Don Achille’s son Alfonso in a scholastic competition, but instead “calibrated answers—in such a way as not to be beaten.” Going this far was itself a brave act and resulted in a brutal beating by Don Achille’s oldest son Stefano—an irony only fully appreciated by those who have read the book which ends with Lila’s disastrous marriage to Stefano. So much happens in these books—it’s impossible to absorb it all in a first reading. And that may also be true of the film. My friend Sue Clee and I while watching the film both had moments when we weren’t quite sure what was happening and thinking we must have missed something. I can’t help but wonder what the film is like for someone who has not read the books. The episodes are quite faithful to the book although the order is re-arranged somewhat and there is at least one episode that is not in the book. The elementary school teacher Maestra Oliviera delivers a feminist rallying cry urging the girls in her class to seize opportunity to do better than the boys. 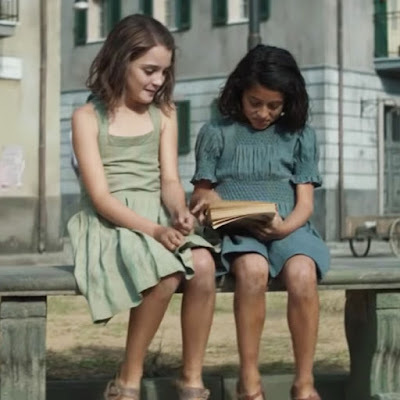 Granted this is implicit in Ferrante’s account: “Maestra Oliviero especially enjoyed taking us to classes where the girl students and women teachers could not be humiliated so much as the males.” I like the director Saverio Costanza’s choice’s to turn this into a feminist pep talk. So on the whole the first episode is a faithful adaptation but it may miss something of the spirit of the book. Sue thought the book was not as dark as the film and that the book conveyed some sense of two mischievous girls just having fun. I think she’s right here; also, in the book some of the relief from the bleak vision comes from Ferrante’s evocative language. I’m looking forward to episode 2 tonight.